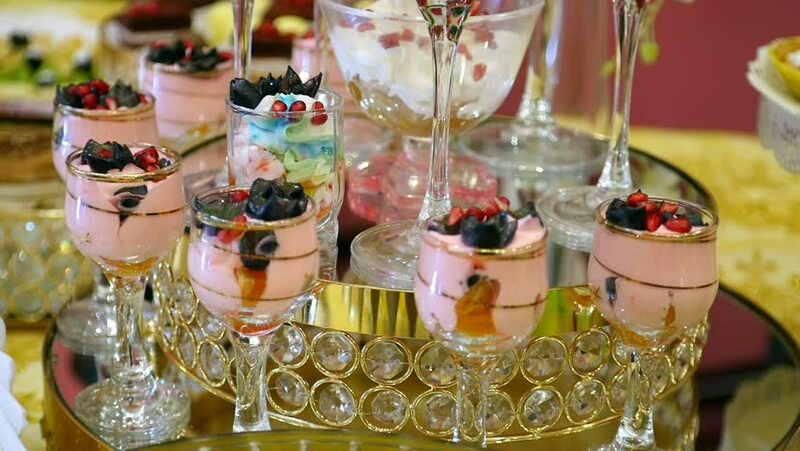 holiday Furshet table colorful fruit dessert cream and souffle in glass. wedding celebratory dinner food design. concept of profession chef. hd00:05Interior of the church. Ukrainian Church.